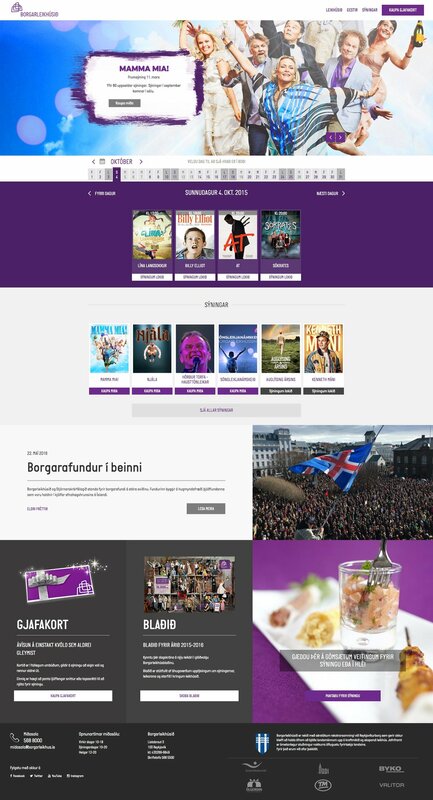 When the Reykjavik City Theatre was in need for an updated website they asked us to help. The main focus was on a simple CMS that would allow the marketing department to easily add new shows, link staff, videos and images to these shows and automatically connect them to the ticket sales system. We developed a new website for Borgarleikhúsið, the Reykjavik City Theatre. The criteria was that it would be easy to add new shows, add cast and crew and be connected to the ticket sales operator. The new website runs on Wagtail, offering high level of flexibility in development and content management. Show days are given high visibility on the front page. This, along with a seamless integration with the ticket sales operator system, has increased web sales since the new design was launched.